Puerto Rico was dealt a big blow in its fight against the Zika virus, after officials with the CDC confirmed the commonwealth’s first case of Zika-caused microcephaly on Friday. 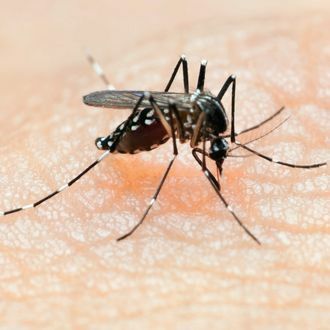 Puerto Rico leads the United States in cases of the mosquito-borne virus, but this was the first time officials have detected a Zika infection in a fetus. The male fetus, which was either aborted or miscarried, apparently had a severe case of the birth defect, which stunts brain development and shrinks the brains and heads of babies. A sonogram revealed that the unborn baby had microcephaly, and the CDC did follow-up tests that also showed signs of the disorder. The mother’s identity is unknown. Puerto Rico has been drowning in Zika cases: 925 reported infections, including 128 pregnant woman — though at least 14 Puerto Rican moms infected with the virus have given birth to healthy kids, says the Los Angeles Times. Still, health officials expect that number of infections to grow before the end of the year — possibly reaching 700,000 people, or 20 percent of the population. Last month, Puerto Rico also saw the first U.S. death from Zika. A 70-year-old man died of rare complications from the virus.